Through time, it has been proven that technology plays an integral role in the growth and development of the construction business. The construction sector has been changing and evolving, and competition between companies favor those who have the most up-to-date technology. Some old construction companies experience a decline and an eventual demise when they cannot keep up with the technological changes. There has been great development in how companies communicate, research, perform operations and evaluate their work. They are spending more for research and development. Simple yet powerful gadgets like cameras, laptops and mobile phones have made it easier to perform day-to-day operations. Today, jobs get done faster and more efficiently with the use of the latest gadgets and equipment. The technological development of heavy equipment and machinery are rapid and ever-changing. Although having the latest technology can prove to be useful, buying all these new pieces of equipment can prove to be quite costly. Maintaining and storing them is an additional cost and burden to a company. And when they are already outdated, you need to replace them with new ones. It is a fact that companies need to keep up with change. However, it sure is an expensive feat. There is a less expensive and more efficient solution for construction companies. Renting from a tech-savvy rental company can save the company thousands and even millions of dollars. As stated earlier, companies will lessen their expenses through rental. It is expensive to buy, maintain and constantly upgrade equipment. Renting from a tech-savvy company means you can access latest technology for a lower price. Since consumers are becoming smarter, they have started demanding for more information about the day-to-day operations in their constructions. As such, having the best equipment through rental can help you deal with consumer pressure. Since your construction company is more efficient with up-to-date technology, consumers will trust your company better. With new and well-maintained equipment, you can also be sure that your construction site is safer. You minimize the risk of malfunction and failures in operation. 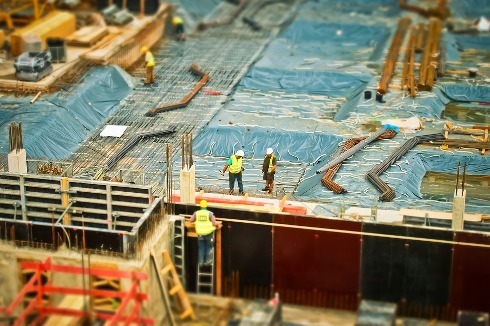 Using the newest technology can be beneficial to construction companies. Safety, productivity, and development are some of the areas that benefit when companies use new technology. Big companies have no problem acquiring the newest machines and equipment but that does not mean that smaller companies cannot have access to new technology. Through rental, smaller companies can have to opportunity to use updated equipment that can make them compete and work at par with bigger companies.